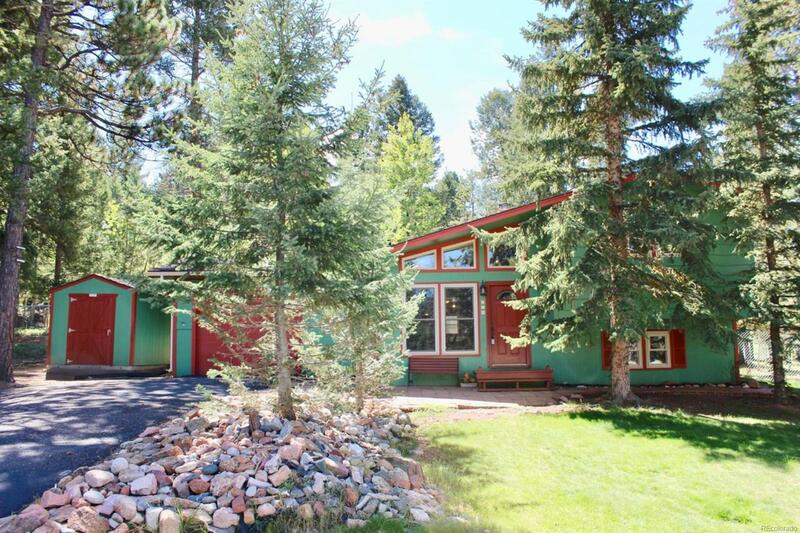 Wonderful family home in the heart of Woodland Park! Excellent condition, well cared for and super clean throughout. Walking distance to almost everything, yet a beautiful wooded setting to retreat to. Walk in to a large living room/kitchen/dining area with vaulted, beamed ceiling and wood. Large island/breakfast bar in kitchen and walk-out to large back patio/deck. Upstairs has three bedrooms and full bath. Basement is nicely finished with large family room, laundry/utilities room and full bathroom.